Jaume Munar had played a nice match, but it was time for Italian veteran Fabio Fognini to show his experience. Fognini broke Munar at 4-4 in the third and was two points away from the match, serving at 5-4, 30/0. But the 21-year-old Munar finished perfectly, literally. He won 12 straight points, breaking Fognini twice, and knocked out the second seed 4-6, 6-4, 7-5 on Wednesday at the Argentina Open. 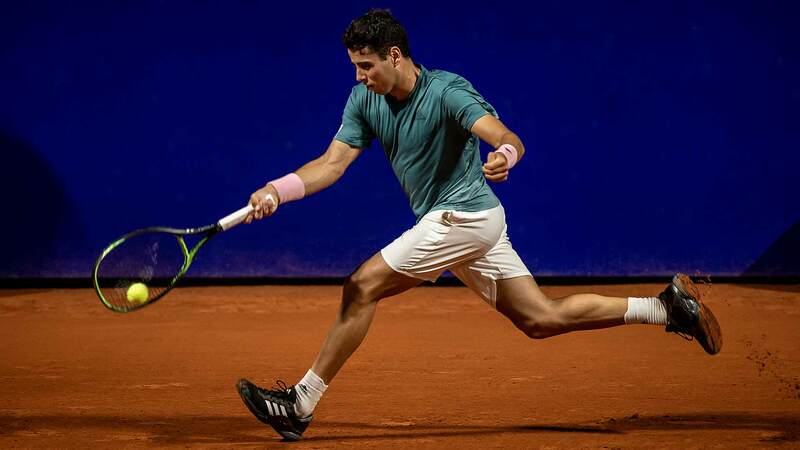 Six weeks into the season, and Munar, who reached the semi-finals of the Next Gen ATP Finals last November, has already reached three quarter-finals (Pune, Cordoba). He will meet Argentine Guido Pella for a place in his first semi-final of the year. Pella, finalist at last week’s Cordoba Open (l. to Londero), got the better of countryman Leonardo Mayer 6-4, 1-6, 7-6(5). Third seed Marco Cecchinato earned his first main-draw win in Buenos Aires, holding off Chile’s Christian Garin 7-6(4), 6-4. Cecchinato converted four of his nine break chances, and will next meet Spaniard Roberto Carballes Baena, who eliminated Italian qualifier Lorenzo Sonego 7-5, 6-1.